Huluvadi G. Ramesh & Anita Sumanth, JJ. S. Sridhar for the Appellant. : T. Ravikumar for the Respondent. 1. The following Substantial Questions of Law have been admitted by this court for consideration in an appeal challenging an order of the Income Tax Appellate Tribunal dated 27.4.2007 in respect of AY 2001-02. ‘1. Whether the Tribunal is correct in law in concluding that the assessment of share capital contribution in terms of Section 68 of the Act even though the decision of the Supreme Court in the case of M/s. Steller Investments Limited would nullify such an action in the hands of the Appellant on various grounds? in a proprietary concern and the third, a commission agent. Enquiries revealed that none, barring one creditor, were assessed to income tax. It also came to light that none of the creditors had any evidence for having advanced the amounts towards share capital, owned no immoveable property or moveable property in their names and several of them had no bank accounts. In the light of the aforesaid facts, the assessing authority was of the view that the onus placed on the assessee in terms of Section 68 of the Act had not been discharged. Upon examination of the transactions, he accepted credits relating to a sum of Rs.18,10,000/-and disallowed an amount of Rs.31.73 lakhs adding the same back to the income of the assessee in terms of section 68 of the Act. 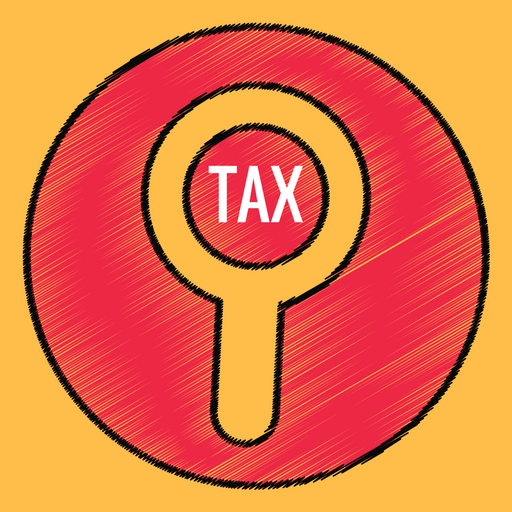 The Commissioner of Income Tax (Appeals) allowed the assessee’s appeal following the decision of the Full Bench of the Delhi High Court in the case of Commissioner of Income Tax Vs. Sophia Finance Limited (205 ITR 98). The Income Tax Appellate Tribunal ( in short ‘Tribunal’), in an appeal by the Revenue, reversed the order in first appeal being of the view that the facts and circumstances of the case revealed neither the financial capacity of the creditors nor the genuineness of transactions. The order of the tribunal dated 27.4.2007 is assailed in appeal before us by the assessee. We have heard the submissions of Sri. S.Sridhar appearing on behalf of the assessee and Sri.T.Ravikumar, appearing on behalf of the Department. Reliance is placed by the assessee on the judgments of the Supreme Court in the case of Commissioner of Income Tax Vs. Lovely Exports ( 216 CTR 195) and CIT Vs. Steller Investiment (251 ITR 263). He would contend that in the light of the aforesaid pronouncements of the Supreme Court , no addition could be made invoking Section 68 of the Act in cases of contributions to share capital and that the Department was free to proceed against the share holders itself in cases where the genuineness of the transaction was in question. He would also contend that in the light of the aforesaid judgments of the Supreme Court, the decision of the Full Bench of the Delhi High Court in the case of Sofia Finance (supra) was no longer good law. The aforesaid judgments of the Supreme Court has been followed by several High Courts the Division Bench of Delhi High Court in DCIT vs. Rana Girders (84 CCH 128), Gujarat High Court in Hindustan Inks and resins Ltd vs. DCIT (60 DTR 18), Allahabadh High Court in CIT vs. Misra Preservers (P Ltd) (350 ITR 222) Chatisgarh High Court in ACIT vs. Venkakateshwar Ispat (P Ltd.) ( 319 ITR 393) Delhi High Court in CIT vs. Sri Rram Syal Hydro Power (P Ltd.) (196 Taxman 441) Punjab and Haryana High Court in CIT vs. GP International Ltd Karnataka High Court in CIT and others vs. Mulberry International Silk (68 DTR 149) and CIT and another vs. Arunanandha Textiles Pvt Ltd. (333 ITR 116) and the Jurisdictional High Court in CIT vs. Pranav Foundations in TC(A) 266 of 2014), CIT vs. Electro Polycon Ltd (294 ITR 661) and CIT vs. Victory Spinning Mills Ltd (90 CCH 55). On the other hand, Mr. Ravikumar, learned counsel would contend that the provisions of Section 68 of the Act and the requirements there under would not stand effaced merely because the transaction happened to be projected as one of a contribution towards share capital. He would draw our attention to the following observations of the Full Bench of the Delhi High Court in Sophia Finance (Supra). He would also rely upon the decisions of various High Courts to similar effects such as Kolkata High Court vs. Ruby Traders and Exporters Ltd, the jurisdictional High Court in the case of Mangilal Jain vs. ITO ( 315 ITR 105 ) Delhi High Court in CIT Vs. Youth Construction Pvt. Ltd., CIT Vs. MAF Academy Pvt. Ltd, CIT Vs. N. Tarika properties investments, Onassis Axles Pvt Ltd vs. CIT , Rithi Promoters P. Ltd Vs. CIT and CIT Vs. Nova promoters and Finlees (P Ltd). He would point out that the judgment of the Supreme Court in the case of lovely exports (Supra) has been considered and distinguished on facts. Reference was also made to the Judgment of the Supreme Court in the case of Sumathi Dayal Vs. CIT (214 ITR 801) and CIT Vs. P. Mohanakala (291 ITR 278) that, while not dealing with share contributions per se deal with the interpretation of section 68 of the Act and the parameters to be adopted in determining accessibility of credits appearing in the accounts of an assessee. 68. Where any sum is found credited in the books of an assessee maintained for any previous year, and the assessee offers no explanation about the nature and source thereof or the explanation offered by him is not, in the opinion of the Assessing Officer, satisfactory, the sum so credited may be charged to income-tax as the income of the assessee of that previous year. 11. The Division Bench of the High Court in the case of CIT Vs. Steller Investment (251 ITR 263) had consider a similar case of increase in subscribed capital. The increase was accepted by assessing authority but came to be revised by the commissioner of Income Tax under section 263 of the Act on the ground that no investigation had been carried out at the time of assessment with regard to genuineness of the subscriptions. The order of revision was quashed by the Tribunal. In an appeal filed by the department before the High Court challenging the order of the Tribunal, the Division Bench held that even if it was assumed that the subscribers to the increased share capital are genuine, under no circumstances could the subscriptions be assessed as undisclosed income of the company. The only remedy available to the department was an enquiry in the hands of the alleged share contributors and an assessment of the amount in their hands, assuming that if it was found that the contributions were not genuine. (i) payments made through banking channels, whereas in the present case , payments are in cash and no receipts or any proof thereof has been produced. (ii) Several of the contributors were assessed to tax and details of the assessments furnished. In the present case, none of the contributors were assessed to tax, barring one, in whose case also no particulars were furnished in this regard. (iii) The finding of the authorities is to the effect that the assessing officer had neither controverted, nor disapproved the material filed by the assessee whereas in this case, no material whatsoever was produced to establish proof of payment by the contributors, their credit worthiness or genuineness of the transaction. 15. The clear and distinguishing distinction of fact is that the assessing officer, in that case, had not met or controverted the details furnished by the assessee. It was in the above circumstances, and on account of such failure that the tribunal, the highest fact finding body and High Court in confirmation thereof, came to the view that no addition could be made when primary details had been furnished to the assessing officer who had not carried out the required investigation with due diligence. The burden placed on the assessee in terms of section 68 was thus discharged by the assessee in the case of Lovely Exports. This has not been done in the present case. Apart from establishing the identity of the creditor, the assessee was unable to dislodge the findings of the assessing officer to the effect that the alleged contributors were not credit worthy, or that the transaction was bonafide. The decision of the Delhi High Court in CIT vs. Divine Leasing., General Exports and Credits Ltd., Lovely Exports (P) Ltd (299 ITR 268) provides some pointers that would essentially have to be satisfied by the assessee in order to carry a transaction of share contribution outside the ambit of section 68. ‘16. In this analysis, a distillation of the precedents yields the following propositions of law in the context of Section 68 of the IT Act. The assessee has to prima facie prove (1) the identity of the creditor/subscriber; (2) the genuineness of the transaction, namely, whether it has been transmitted through banking or other indisputable channels; (3) the creditworthiness or financial strength of the creditor/ subscriber. (4) If relevant details of the address or PAN identity of the creditor/subscriber are furnished to the Department along with copies of the Shareholders Register, Shared Application Forms, Share Transfer Register etc. it would constitute acceptable proof or acceptable explanation by the assessee. (5) The Department would not be justified in drawing an adverse inference only because the creditor/subscriber fails or neglects to respond to its notices; (6) the onus would not stand discharged if the creditor/subscriber denies or repudiates the transaction set up by the assessee nor should the AO take such repudiation at face value and construe it, without more, against the assessee. (7) The Assessing Officer is duty-bound to investigate the creditworthiness of the creditor/subscriber the genuineness of the transaction and the veracity of the repudiation’. 16. In all, the result of enquiries carried out by the department should reveal and satisfy transparently all parameters of section 68, concurrently. In the present case, the finding of fact is to the effect that neither the credit worthiness nor the genuineness of the parties has been established by the assessee. The detailed investigations carried out by the assessing officer establish the position that the contributors to share capital were persons of insignificant means and their credit worthiness to have made the contributions has not been established. The assessing authority had put the result of his enquiries to the assessee granting him opportunity to offer its explanations. The appellant however failed to establish the genuineness of the cash contributions as well as the capacity of the persons to have made such contributions in the first place. The findings of the fact arrived at by the tribunal are accepted and nothing has been placed on record to show that they are perverse. 17. The substantial questions of law are answered in favour of the Revenue and the appeal stands dismissed without costs. This entry was posted in Section 260A and tagged 407 ITR, addition u/s 68, In favour of Revenue, Madras High Court.